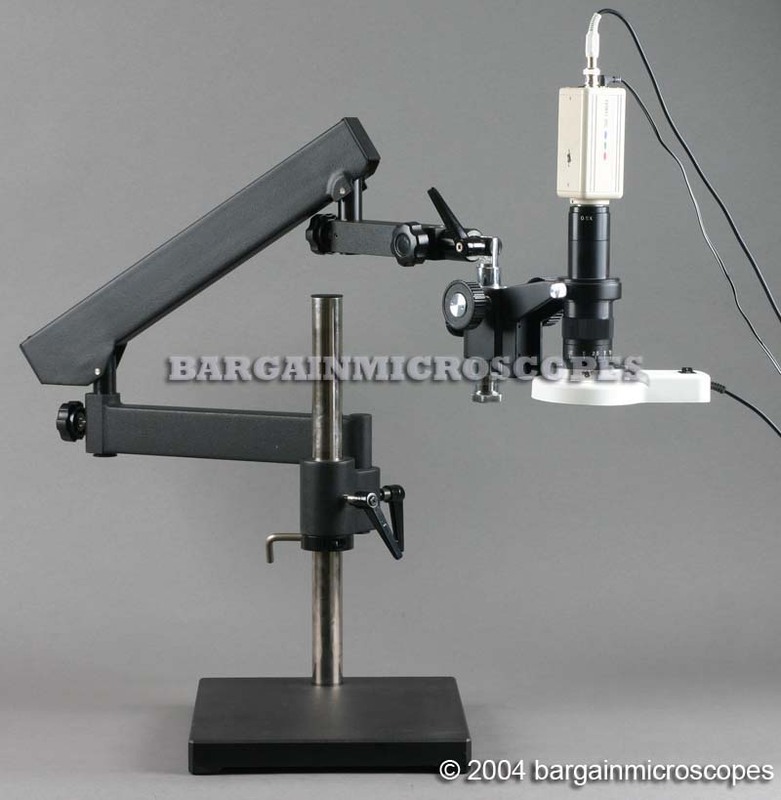 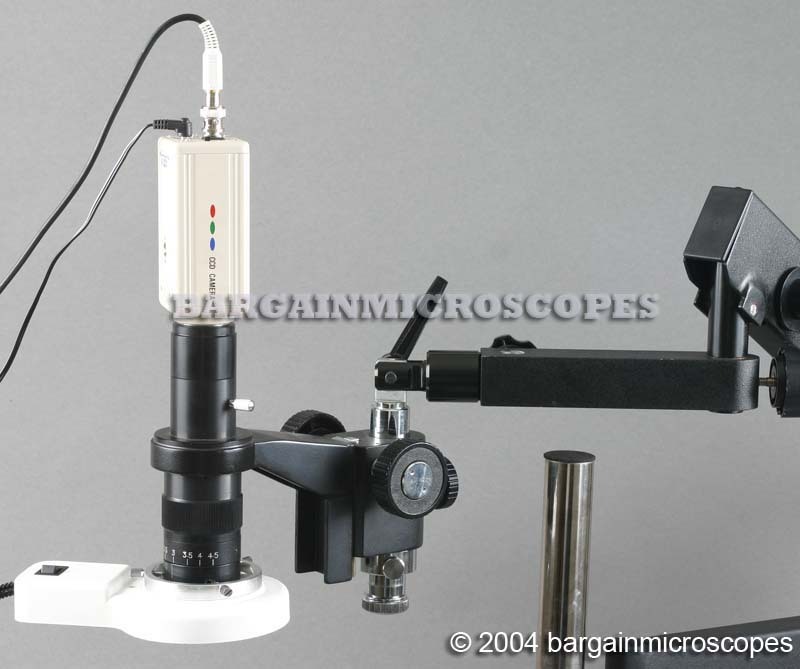 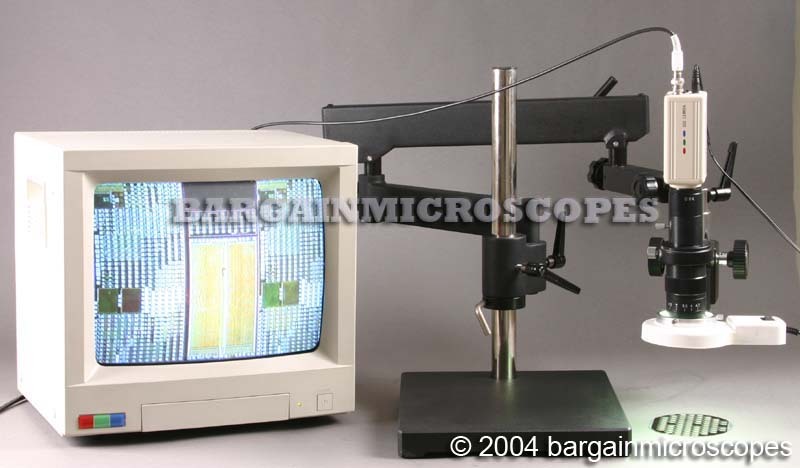 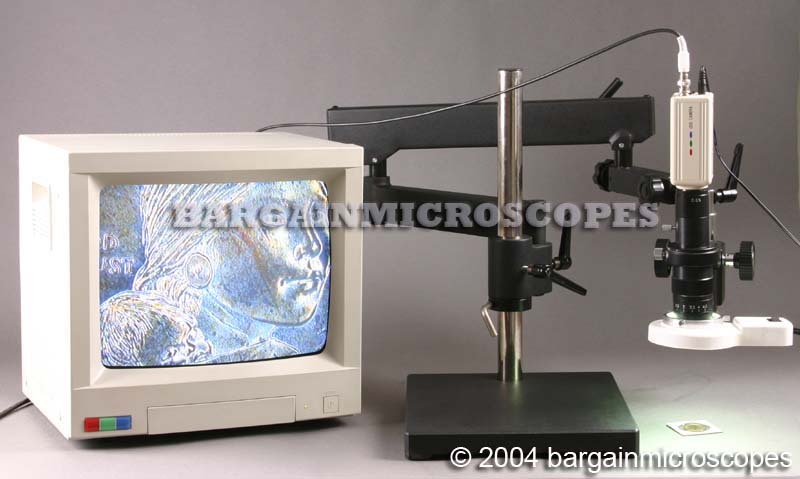 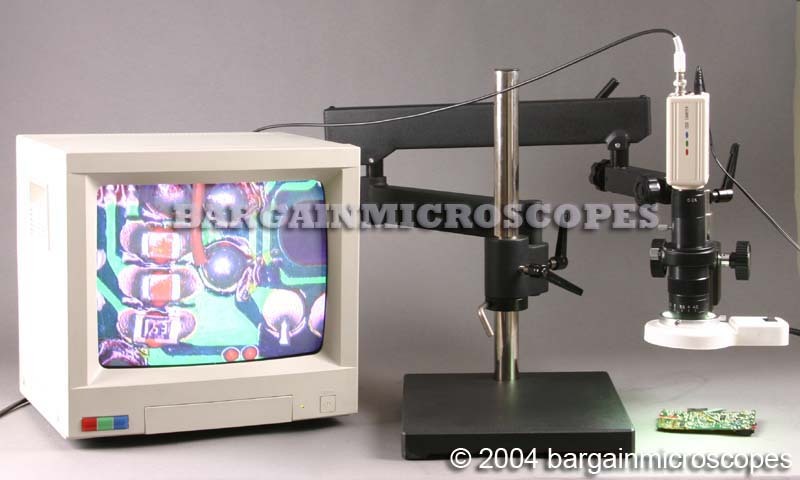 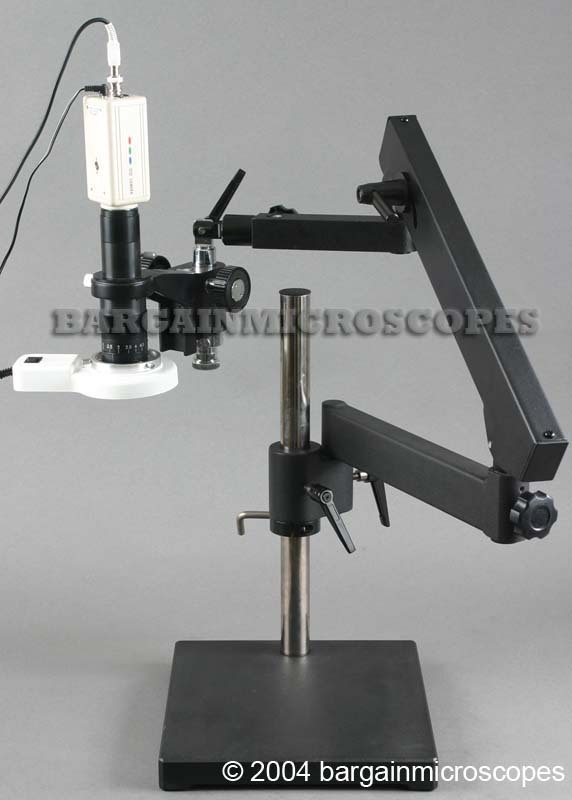 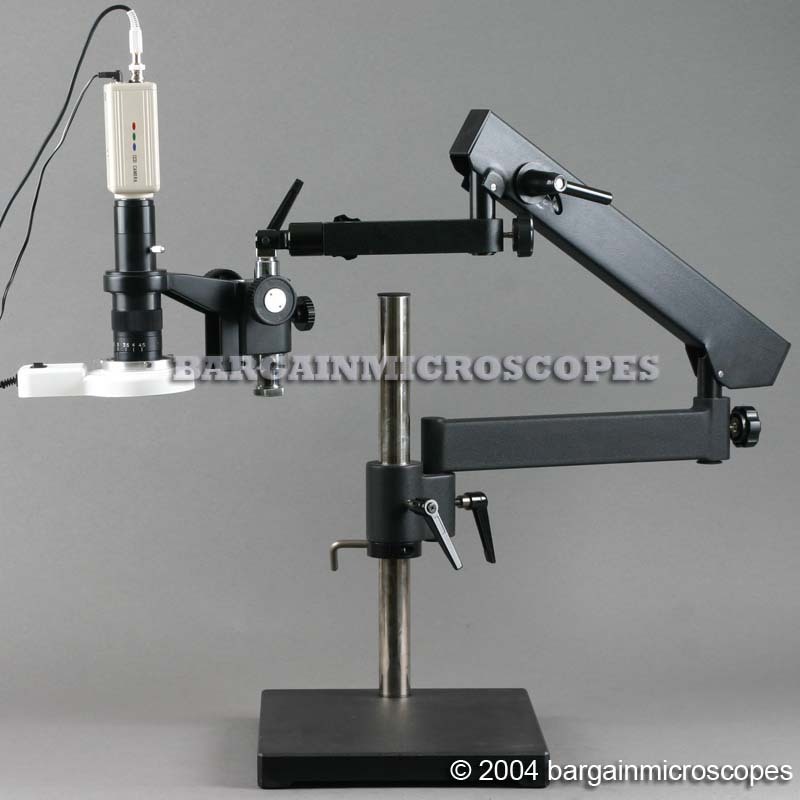 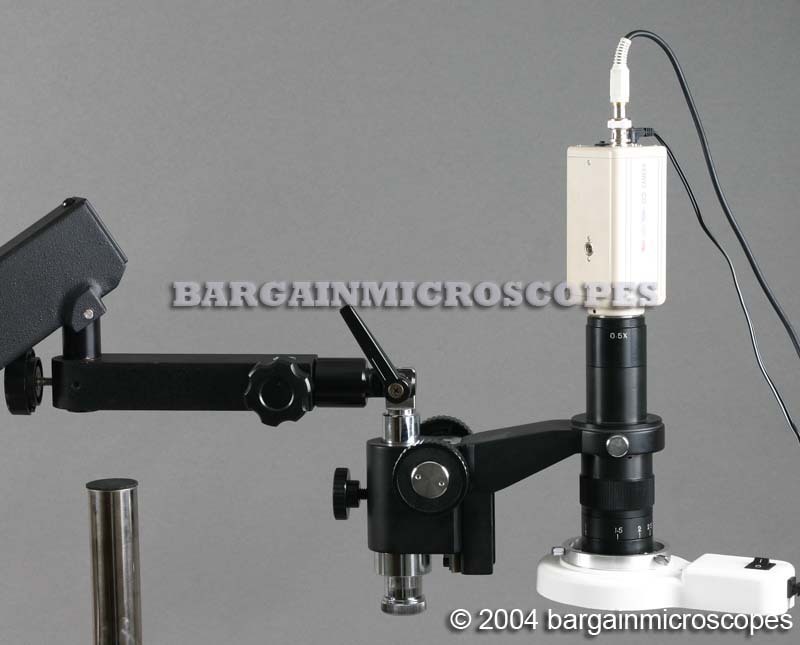 Articulating Boom Stand Mounted Video Zoom Inspection Microscope! 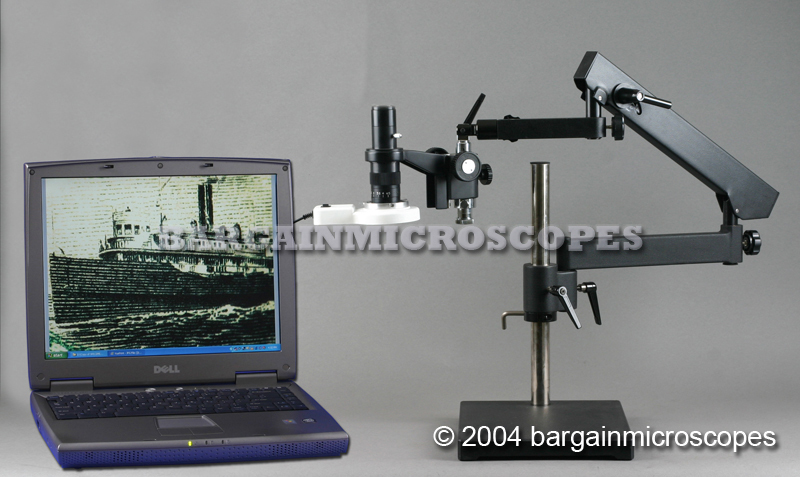 For easy Inspection and Quality Control of Products on Assembly Lines. 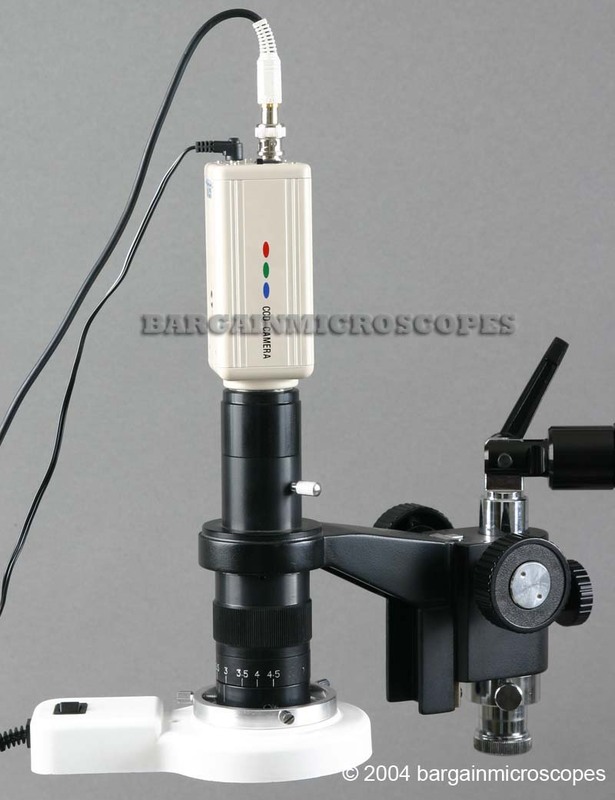 Zoom video microscope for video imaging of specimens.